Exploration is undoubtedly a key area of focus for the bodies responsible for achieving MER UK. In its Corporate Plan, the OGA lists “revitalising exploration” as one of its priorities. It also sets out a proposed pathway for reaching its target of 50 E&A wells drilled per annum by Q1 2021. In addition, an ‘exploration sector strategy’ is awaited which will hopefully set out in more detail how the OGA intends to apply the MER UK Strategy to exploration operations. Our third post in this series sets out our top 10 key “MER UK” changes which may have a bearing on exploration operations in the North Sea. 1. All exploration activities must comply with the central obligation of achieving MER: All offshore petroleum licensees must comply with the MER UK Strategy (pursuant to the changes to the Petroleum Act 1998, brought in by the Infrastructure Act 2015). The MER UK Strategy was developed by the Secretary of State and sets out the proposed strategy for achieving the principal objective – “the objective of maximising the economic recovery of UK petroleum” (see also our previous post on the MER UK Strategy). It is binding upon relevant persons operating in the UKCS, specifically holders of offshore petroleum licences and operators of petroleum licences. The MER UK Strategy expressly requires licensees under an offshore licence to plan, fund and undertake exploration activities within the licence area, in a manner that is “optimal for maximising the value of economically recoverable reserves” within the licence area. The MER UK Strategy contains more detail as to how “relevant persons” should act. Some of these are discussed in more detail below, but the key requirement is to carry out all functions in a manner compliant with MER. 2. Failure to comply with MER: Failure to comply with the MER UK Strategy may lead to sanctions. The Energy Act 2016 grants the OGA powers to impose sanctions on offshore petroleum licensees for failing to comply with the MER UK Strategy, or for failing to comply with a term or condition of the offshore licence. The possible sanctions range from enforcement notices and fines to, ultimately, the removal of the operator of a petroleum licence and/or revocation of the licence. 3. No relinquishment until firm commitment carried out: The MER UK Strategy provides that, except where the licensee would not make a “satisfactory expected commercial return” (as defined in the MER UK Strategy), a licensee cannot relinquish a licence until it has completed any work programme, to which it made a firm commitment in the licence. 4. Regional exploration plans: The OGA may produce plans setting out its view of how it expects obligations in the MER UK Strategy to be met. The plans may cover exploration activities carried out within specific regions of the North Sea, for example West of Shetland. As far as we are aware, the OGA has not yet developed any exploration plans. If the OGA wishes to produce a plan under the MER UK Strategy, it must first consult with those persons it thinks may be affected by the plan. As the plans are binding, we recommend you engage with the OGA on any proposed plan that may affect your exploration activities (and potentially future activities down the line, including development and decommissioning). If you intend to carry out activities in a manner inconsistent with any plan published by the OGA, you will need to first consult with the OGA. 5. Collaboration and competition law issues: The MER UK Strategy requires licensees to consider whether collaboration or cooperation with other licensees or service providers could reduce costs and/or increase the recovery of economically recoverable petroleum, and to give due consideration to such possibilities. At the same time, the MER UK Strategy states that no obligation imposed by the Strategy permits conduct which would otherwise be prohibited under legislation, including competition law. There appears to be an inherent conflict between these requirements. It is your responsibility to ensure that you do not infringe competition laws whilst complying with MER. 6. New technologies: According to the MER UK Strategy, licensees must ensure that, in carrying out their activities, new and emerging technologies are deployed to their optimum effect. This may also be the subject of an OGA plan, which you may be required to comply with. 7. OGA attendance at meetings: Under the Energy Act 2016, the OGA will have powers to attend meetings between licensees and other relevant persons discussing matters relevant to achieving MER. This includes formal meetings such as Opcom meetings, as well as meetings conducted through electronic means (e.g. telephone calls). The organiser of the meeting has to provide notice to the OGA of any such meetings (14 days’ notice, unless it is not practicable to do so) and provide any papers relating to the MER UK issue, which are distributed to the attendees to the OGA. If an OGA representative does not attend, the organiser must provide a summary of the discussion to the OGA. In practical terms, employees organising meetings need to be aware of what “MER” issues are, in order to know when the OGA should be given notice and what papers to provide. Waivers of confidentiality from other persons may be required. In addition, papers given to the OGA should only cover those issues relevant to the OGA and not commercially sensitive information. Whilst these new powers appear to be fairly onerous, they may be useful, if there is an issue that you want the OGA to be involved in. 8. Information and samples: There are new provisions in the Energy Act that give the Secretary of State the power to create regulations to require licensees, operators and owners of petroleum infrastructure to retain specified petroleum related information and samples. Notably, the regulations can require a party to keep information and samples even where it is no longer a licensee (as a result of transfer, surrender, expiry or revocation). Procedures will need to be put in place to ensure the data and samples are retained. In addition, each licensee is required to have an information and samples coordinator within the organisation to supervise data retention and correspondence with the OGA. If a licence is transferred, surrendered, revoked or expires, then the OGA can request that the licensee informs it of what is to happen with information and samples (in an information and samples plan). The plan must provide for the party to either: (i) retain the information and samples, (ii) transfer to a new licensee or (iii) secure appropriate storage. So on a transfer of a licence, the licensee has the choice of potentially incurring costs to retain or store the data and samples, or handing over its intellectual property to another licensee. 9. MER UK disputes: Relevant persons, including offshore petroleum licensees and owners of upstream infrastructure, may refer disputes relating to fulfilment of the MER, or relating to activities carried out under an offshore petroleum licence, to the OGA for a non-binding recommendation on how to resolve the dispute. It should be noted that the OGA also has the power to decide on its own initiative to consider a dispute involving such issues. As there is already a separate procedure for disputes relating to third party access, the new powers do not apply to such disputes relating to third party access. 10. Satisfactory expected commercial return: The general principle behind the MER UK Strategy is that investment made in the UKCS should be made such that the maximum value of economically recoverable petroleum is recovered, and that assets should be in the hands of those who are willing to make such investment. So the MER UK Strategy contains a safeguard that no licensee or owner of infrastructure is required to invest or fund activity if it would not make a satisfactory expected commercial return. The definition is fairly vague, but prescribes that a satisfactory expected commercial return is not necessarily a return in line with corporate policy. If a licensee feels that it would not make a satisfactory return, but a “satisfactory expected commercial return” could be made, the licensee could ultimately be required to sell the asset. Does the Supreme Court’s ruling in Cavendish increase the likelihood of JOA forfeiture provisions being enforceable? In November 2015, the Supreme Court took the opportunity to review and recast the English law on penalties, in Cavendish Square Holding BV v Talal El Makdessi  UKSC 67. The decision has been of particular interest to the oil and gas community, where the enforceability of JOA forfeiture provisions has long been the subject of debate. The Cavendish ruling was welcomed by English lawyers, coming as it did some 100 years after the previous leading authority, Dunlop Pneumatic Tyre Co Ltd v New Garage and Motor Co Ltd  AC 79. In the intervening period, English case law had sought to refine the penalties test, with results that were sometimes helpful and at other times confusing. The result was, according to the Supreme Court, “an ancient, haphazardly constructed edifice which has not weathered well“. Before Cavendish, any analysis of whether a clause was a penalty would likely have started with Lord Dunedin’s four “tests” from the Dunlop case and his focus on whether the sums payable amounted to a genuine pre-estimate of loss or a deterrent. Post-Cavendish, the test is now clearer. The key question is whether the relevant clause is a secondary obligation and, if it is, whether it is out of all proportion to any legitimate interest of the innocent party in its enforcement. So, the first task is to establish if the obligation is a primary obligation or a secondary obligation. A primary obligation would, for example, be an obligation to pay for services (even if a part of that payment is contingent on future behaviour, as it was in Cavendish) provided under a contract; a secondary obligation would be an obligation to pay liquidated damages on breach. Only if the clause is a secondary obligation can it be a penalty, as the English courts will not interfere in the parties’ original commercial bargain. The second task is then to investigate the legitimate interest of the innocent party in the enforcement of the clause. 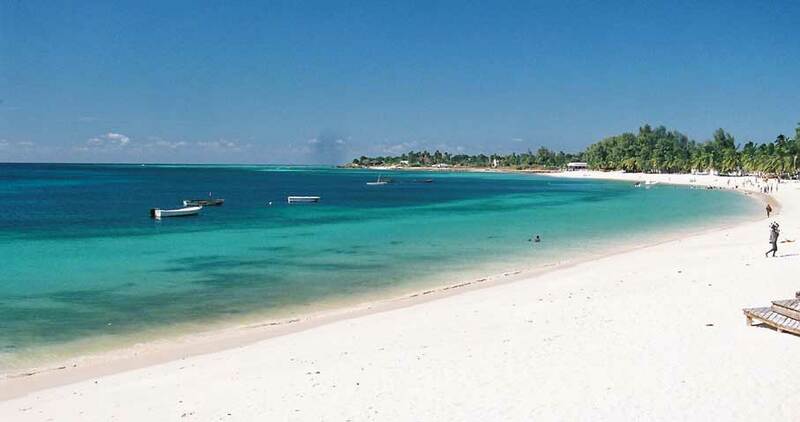 In Cavendish, for example, this focused on the interest of the buyer in ensuring that the seller adhered to certain restrictive covenants to ensure that the goodwill in the value of the company’s shares was preserved. JOA forfeiture provisions take many forms. However, most operate on the basis of certain key principles. First, they apply to circumstances where a contractor has failed to pay its share of costs when due. Second, they require the other contractors to pay the defaulting contractor’s share of costs, pro rata to their participating interests. Third, where the default remains unremedied, the defaulting contractor is required to assign (or “forfeit”) some or all of its participating interest to the non-defaulting contractors. Whether such provisions amount to primary obligations under the JOA will be determined by the wording used. Generally, those we have seen more naturally fall within the category of secondary obligations. However, the legitimate interest of the non-defaulting contractors will be similar across most JOAs; the continuity of the operations and compliance with their obligations to the Government that has granted them rights in the given contract area. The non-defaulting parties will argue with some force that these legitimate interests justify the partial or complete exclusion of a party that is unwilling to bear its share of costs, particularly where the innocent contractors have had to bear those costs themselves. Whether the forfeiture provisions are proportionate to these legitimate interests will depend on their precise terms and, importantly, the commercial context. Some commentators have suggested that it may be easier to argue that forfeiture is proportionate where costs incurred are relatively low and the prospects for the contract area uncertain, for instance during the exploration phase of operations. This is one reason for the range of remedies often to be found in JOAs, where mandatory assignment and withdrawal provisions may be accompanied by buy-out and withering interest options. It remains to be seen to what extent Cavendish has affected the enforceability of JOA forfeiture provisions. Whilst the Supreme Court’s focus on legitimate interests over genuine pre-estimate of loss or deterrence is undoubtedly helpful for parties seeking to enforce such provisions, it may be argued that English case law had already been moving in that direction. More recent case law had, for example, tended to focus on the commercial justification for the sums payable; the legitimate interests test is arguably an extension of this. Non-defaulting contractors would likely have deployed the same (persuasive) arguments in support of a commercial justification test as they now would in support of their legitimate interests. Further, two English law principles that are key to analysing JOA forfeiture provisions were established long before Cavendish. The first is that, where a contract has been negotiated by properly advised parties of comparable bargaining power, there is a strong presumption that they are the best judges of what is legitimate and that the court should therefore not interfere (Philips Hong Kong Ltd v Attorney General of Hong Kong (1993) 61 BLR). In the sophisticated world of oil and gas exploration and production, the vast majority of contracts will meet this description. Second, Lord Dunedin made clear in Dunlop that the analysis of whether or not a clause is a penalty must be carried out at the time the contract was entered into, not at the time of breach. In addition, he emphasised that the fact that it may be difficult to estimate what the true loss would be is no obstacle to enforceability (and may, indeed, be a reason to uphold the parties’ original bargain). In JOAs, the loss suffered by the non-defaulting contractors as against the value of the interests to be forfeited by the defaulting party may well be difficult (if not impossible) to estimate at the time the JOA is entered into, which may help persuade a court to uphold the terms agreed. This is the second in a series of posts on the new regulatory regime for the North Sea oil and gas industry following the enactment of the Energy Act 2016. In the first post we introduced the new regime. Here, we look at how its central legal provisions work. At the heart of the new regime is the concept of “MER UK”. This is short-hand for the “principal objective” of “maximising the economic recovery of [offshore] UK petroleum”, which is set out in s. 9A of the Petroleum Act 1998 (inserted by the Infrastructure Act 2015). The way that the principal objective governs both the regulators and those they regulate is summarised below. Two points are worth emphasising here. First, obligations to act in accordance with the MER UK strategy apply to a very broad range of persons engaged in a very broad range of activities – the summary above slightly understates this. It does not, for example, have room to list all the categories of offshore installation (e.g. gas storage or accommodation facilities) that are covered. Second, the key obligations in the legislation refer to the MER UK strategy, rather than the principal objective itself. This gives DECC (for now) and the OGA (in the future) great flexibility to articulate the practical implications of the principal objective, and to do so in a document that, although it is legally binding, does not have to be (and is not) written with the precision that one would expect to find in legislative drafting. The position in practice could almost be caricatured as being “you must do what the OGA says you must do to achieve MER UK”. Courts would probably be reluctant to second-guess the range of factors contributing to an assessment of MER UK in any event, but this feels like a regime which has been very carefully set up with a view to minimizing the risk of administrative law challenges to the regulator’s decisions. NOTE: The Energy Act 2016 is being commenced in stages, by regulations. The first commencement regulations were made on 23 May 2016. So far, only provisions which empower the Secretary of State to make further regulations or transfer schemes (e.g. relating to the transfer of property from DECC to OGA) have been made. However, the substantive obligations on “relevant persons” and DECC / OGA described above are largely contained in the provisions which the Infrastructure Act 2015 inserted into the Petroleum Act 1998 with effect from 12 April 2015 (even though the MER UK strategy itself was not finalized until almost a year later). So although it may be a few months before the sections of the Energy Act 2016 that will allow enforcement of MER UK obligations are brought into force by further commencement regulations, the substantive obligations to comply with MER UK principles are already in force and should be kept in mind by relevant persons (and DECC / OGA) in all the situations where they apply. The next post in this series will explore some of these situations, with particular emphasis on exploration activities. The Alberta Court of Queen’s Bench decision in Redwater Energy Corporation Re, 2016 ABQB 278, written by Chief Justice Neil Wittmann, clarifies that the provisions of the Bankruptcy and Insolvency Act (BIA) addressing the environmental liability of trustees render certain provisions of provincial regulatory legislation addressing wells and pipelines inoperative to the extent they conflict with the BIA. This is a significant decision that will directly impact the conduct of oil and gas receiverships and bankruptcies in Alberta, and affect the position of secured creditors in those proceedings. You can find Dentons’ commentary on this decision in our recent Insights publication found here. On April 4, 2016, the Government of Alberta (“GoA”) released The Government of Alberta’s Policy on Consultation with Metis Settlements on Land and Natural Resource Management, 2015 (the “Policy”) as well as The Government of Alberta’s Guidelines on Consultation with Metis Settlements on Land and Natural Resource Management, 2016 (the “Guidelines”). Additional information on the Policy and the Guidelines including the text of each can be found here. The modest aim of this post is to outline some of the key features of the Policy and Guidelines as they relate to energy project proponents. The term “Metis” refers to people of mixed European and indigenous heritage who developed their own customs, way of life, and recognizable group identity separate from their settler or indigenous ancestors. Metis people are expressly included within the definition of “aboriginal peoples of Canada” in section 35 of the Constitution Act, 1982. Accordingly, Metis practices that were historically important features of these distinctive communities and that persist today as integral elements of Metis culture are constitutionally protected. According to the Alberta Indigenous Relations website, approximately 5,000 people live on the eight Metis Settlements in the province which collectively cover 1.25 million acres in the central and northern part of the province. The stated objective of the Policy is to establish a meaningful consultation process to address potential adverse impacts to Metis Settlement members’ harvesting or traditional use activities. The Guidelines are intended to clarify expectations of all parties participating in the consultation process including project proponents, the Aboriginal Consultation Office (the “ACO”), Metis Settlements, and government agencies. a GoA decision has the potential to adversely impact the continued exercise of Metis Settlement members’ harvesting or traditional use activities. The Policy, therefore, will impact not only strategic resource planning decisions made by the GoA, but also project specific decisions including land dispositions, facility and pipeline approvals, and water use authorizations. It will not, however, apply to leasing or licencing Crown mineral rights. Borrowing from the GoA’s approach to consultation with First Nations, the Guidelines establish a framework for determining the level of consultation required based on the impact of the project and the sensitivity of the affected location. The level of consultation informs how deep the consultation should be, what process steps are required, and the timelines for completing consultation. Consultation does not give Metis Settlements or project proponents a veto over Crown decisions nor is the consent of Metis Settlements or project proponents required as part of Alberta’s Consultation process. The Policy and Guidelines contemplate direct consultation by the GoA as well as GoA delegation of procedural aspects of consultation. In either case, the ACO will “direct, monitor and support consultation activities”. ACO support includes providing staff to assist with consultation, advising both Metis Settlements and proponents when disputes arise, and evaluating consultation records. Energy project proponents will recall that the Alberta Energy Regulator (“AER”) has no authority under the Responsible Energy Development Act to assess the adequacy of Crown consultation. In matters before the AER, the ACO will make a consultation adequacy determination and advise the AER of its decision. For their part, project proponents may need to carry out certain tasks if the GoA decides to delegate procedural aspects of the consultation process. The Guidelines state that “proponents are encouraged to notify and consult with Metis Settlements as early as possible in the pre-application stage”, “document their consultation activities, share their consultation record with Metis Settlements and provincial staff and advise the GoA of any issues that arise”. The Policy and Guidelines identify a number of consultation activities that may be passed to proponents, such as providing Metis Settlements with plain language information on the project, meeting with Metis Settlements to discuss their concerns, developing and implementing mitigation strategies, and preparing consultation records. Finally, the Guidelines state that “although the optimal outcome of consultation is that all consulting parties reconcile interests, agreement of all parties is not required for consultation to be adequate”. The Policy and Guidelines closely model the GoA’s approach to engaging with First Nations in Alberta and will be familiar to many project proponents. They serve as a useful starting point for setting expectations on how consultation will proceed and the roles of each party. However, they are just that – a starting point. The Guidelines acknowledge that consultation must remain flexible. They do not state, however, whether Metis Settlements will be consulted on how the Policy will be implemented in any given case. Further, while the Policy and Guidelines clearly contemplate delegating consultation activities to proponents, there is no commitment by the GoA to communicate the fact of delegation to the concerned Metis Settlements. Clear communication at every stage of the consultation process is important to avoid delays as the process unfolds. Proponents should ensure from the outset when they undertake delegated consultation activities, such as in-person meetings, that the Metis Settlement representatives understand the consultation activities were delegated and are meant to contribute to fulfilling the Crown’s duty to consult. On April 14, 2016, the Supreme Court of Canada (SCC) rendered its decision in Daniels v. Canada (Indian Affairs and Northern Development), 2016 SCC 12. Members of the Dentons Canada LLP Aboriginal Law practice addressed the significance of the decision in their latest Insights post. You can find that post here. On Saturday, March 19, 2015, the Department of Environment and Climate Change Canada (“ECCC“) published its proposed methodology for estimating the upstream greenhouse gas (“GHG“) emissions associated with “major oil and gas projects” undergoing federal environmental assessments (“proposed methodology“) in the Canada Gazette. The Government of Canada (“GOC“) announced in late January that it intended to “restore confidence in Canada’s environmental assessment processes”. 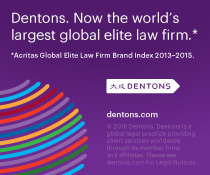 Dentons’ commentary on that announcement can be found here. As part of that announcement, the GOC articulated five principles for how it would exercise its discretionary decision making authority for projects undergoing federal environmental assessments. Among the five principles was a commitment to assess “upstream greenhouse gas emissions linked to projects under review”. The proposed methodology published in the Canada Gazette has not yet been finalized. Interested parties, including industry stakeholders, have 30 days from the publication date (until April 18) to comment on the proposed methodology. The proposed methodology begins by providing a definition of what ECCC considers “upstream” for the purposes of its estimating GHGs associated with a project. 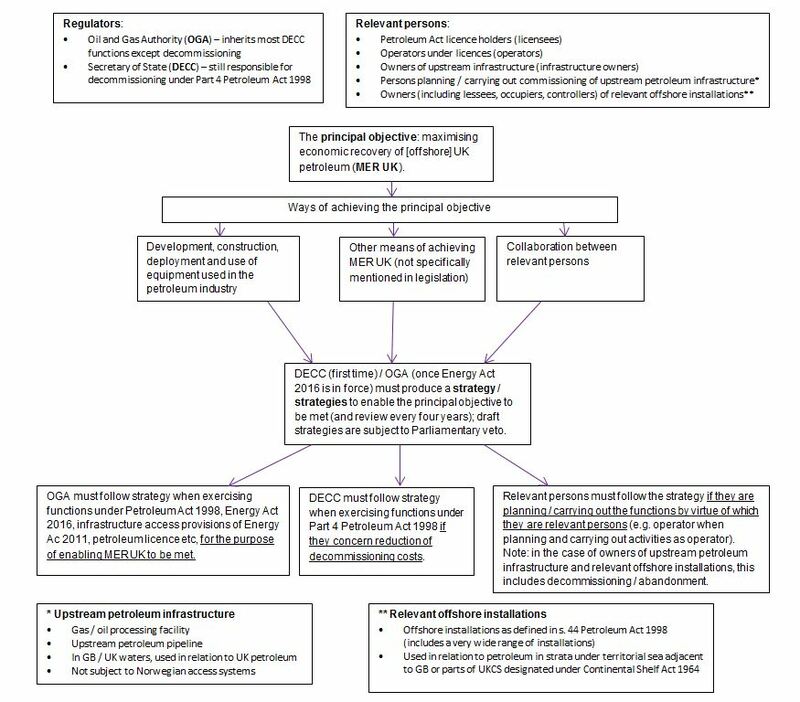 It then sets out two parts of its proposed approach to assessing upstream GHG emissions. Transportation – any pipeline operation in advance of the project. The activities considered “upstream” would depend on the project under review. We are told that the assessment of upstream GHGs will consist of two parts. The first part is a relatively straight forward quantitative estimation of emissions released from upstream production associated with the project. The second part is a more opaque “discussion” of the project’s potential impact on Canadian and global GHG emissions. The quantitative component of the assessment will focus on emissions from upstream activities “exclusively linked” to the project being assessed. How ECCC will decide whether something is “exclusively linked” to a project is unclear. The quantitative assessment will not include “indirect emissions” which, for the purposes of the proposed methodology, would include matters such as manufacture of equipment and fuels “produced elsewhere”. The quantitative assessment begins by determining expected throughput of each “component” (e.g. heavy oil and diluent as separate components) in the product stream. ECCC will rely on project proponent data for this information. Though not expressly stated, information contained in a publicly available application, such as one filed with the National Energy Board would likely be considered. Next, each product component will be assigned an emission factor using ECCC emissions data, among other information sources. Because different product components will involve different extraction, processing, handling and transportation activities, the emissions factors applied in a given assessment would reflect those differences. Multiplying the emissions factor for a given component by the throughput of that component (taking into account a vaguely defined “adjustment”) provides the upstream emission for a given component. Upstream emissions for each component would then be totaled to provide the upstream emissions for the entire project. The second stage to the proposed methodology is a “discussion” that is intended to accomplish two objectives. First, the discussion will assess conditions under which the upstream emissions associated with the project could be expected to occur even without the project. Second, the discussion will consider the potential impact of the project’s emissions on overall Canadian GHG emissions and on Global GHG emissions. To inform the discussion, ECCC will examine current production levels, the trajectory of future production with and without the project, as well as potential markets for future resource production. The next stage of the “discussion” is to evaluate “technical and economic potential” for alternatives to be used in absence of the proposed project. The proposed methodology then considers the various alternatives and “discusses the potential implications for Canadian and Global upstream GHG emissions”. When the GOC first articulated the five principles, including the commitment to assess direct and upstream greenhouse gas emissions, its stated intention was to provide greater certainty on how it would exercise its discretion on projects undergoing a federal environmental assessment. This proposed methodology, once finalized, will give proponents some understanding of how ECCC will assess upstream emissions. However, proponents are arguably no closer to understanding how the GOC will exercise its discretion on individual projects. The proposed methodology gives only a high level overview of how upstream GHGs will be assessed and is vague in a number of respects. For instance, it is not clear how “the technical and economic potential for alternative modes of transportation” will be evaluated. If a proposed pipeline has more “economic potential” or is considered safer than the hypothetical rail alternative, will that tilt the scale in favour of the proposed project for the purposes of an upstream GHG assessment? The proposed methodology also includes a fleeting reference to comparing emissions intensity between Canadian and non-Canadian crude oil sources. What crude oil sources will be used as the comparator or how “upstream emissions” from those non-Canadian-sources will be quantified is anyone’s guess. The most significant issue outstanding from the perspective of a project proponent is the lack of guidance on how the National Energy Board, ECCC, or the Governor in Council, as the case may be, will exercise its discretion to approve or recommend approval of a project based on its GHG emissions. Will projects be given a green light regardless of the upstream GHGs they facilitate? At the other end of the spectrum, will any increase in Canadian or global GHG emissions from a project be enough to delay or halt a proposed project? The true answer presumably lies somewhere in the middle. The problem from the prospective of a proponent contemplating a substantial investment is that there is no way to assess this potential roadblock. And when you don’t got it, as independent oil guy Jett Rink knew, it is everything. The world may run on oil, but the oil industry runs on capital, and for some US shale producers that capital appears to be drying up. After flowing downhill throughout the second half of last year, the price of West Texas Intermediate (WTI) crude oil (as of the date this article is being written) is currently at about US$30. Natural gas has faced a similar decline. Might the worst be over? Not yet. Credit Suisse believes that between 1864 and 2008, the four oil bear markets lasted on average two decades and the shortest 11 years. Expect more pain ahead for many exploration and production (E&P) companies who focus on shale oil, deep water oil, or oil sands (collectively, “unconventional oil”) with additional ramifications in the oil field services sector and other related industry segments. If commodity prices settle at or near today’s prices, many E&P unconventional oil companies may face a liquidly crises while others will require either in-court or out-of-court restructurings. To date, 48 North American E&P companies have filed for bankruptcy. Six E&P companies have filed bankruptcy so far this year. Oil has had its weakest start in history and has negated five year gains. The current downturn is a reminder that oil and gas exploration and production has always been a cyclical business. Memories of the last downturn in the sector may have faded but investors should keep in mind some of the unique industry and legal issues involved in oil and gas finance. The immediate cause of the present oil price collapse is found in increasing production and weak demand for all commodities and loans since 2008 despite the herculean efforts of central banks to restart global demand via ultra loose monetary policy. Since the Financial Crisis of 2008, the US Federal Reserve and central banks across the world have increased debt, artificially kept interest rates low and devalued their currencies. Oil prices rose with a weak US dollar and interest rates near zero in 2009. As prices passed US$80 per barrel in late 2009, unconventional oil production began in earnest. Low-interest rates forced investors to look for yields better than they could find in the US Treasury bonds or conventional savings instruments. Money flowed to E&P companies through high-yield corporate bonds, loans, joint ventures and share offerings. The extended period of ultra-loose monetary policy, including both exceptionally low interest rates and huge expansions in the balance sheets of central banks helped produce the highest sustained oil prices in history. They also led to investments that are not particularly productive but promise higher yields that can be found otherwise in a zero-interest rate world. A US-led supply surge from high-cost unconventional fields such as the Bakken, Eagle Ford and the Permian Basin outstripped demand last year and sent oil prices spiraling downwards. The rout deepened in November 2014 after OPEC, led by Saudi Arabia, its largest producer, refused to cut production. Other sizeable producers, like Russia, are hard pressed economically and need to keep producing for current cash income. And this is before the impact of Iranian oil coming back into the market. The key to recovery is increased demand. With demand from China dramatically down and the potential for recession in many other sizeable energy consuming markets, the short-term scenario for demand does not look promising. Continuing technical innovation which increases production from existing fields and new areas can also be a factor going forward, as it has been over the past decade or so. This can further increase supply from one or more regions of the world, often in dramatic fashion and/or at lower cost than some current production techniques. Since the 1970s, oil companies have put up their own reserves as collateral for loans as a way to secure improved lending conditions. E&P companies rely on reserve-based lending (RBL) to fund operations. In return, banks demand to revalue those reserves every six months, in April and October —a process called “redetermination”. Under RBL facilities, banks agree to lend up to limits set by the value of the borrower’s proved oil and gas reserves. They then adjust those limits periodically to maintain adequate loan-to-value and cash flow coverage ratios. During the previous round of redeterminations last autumn, banks cut limits for most customers between 10 and 20 per cent. With oil still languishing at about US$30 a barrel, analysts say that the next round could be just as severe. As reported recently in the Financial Times, John Shrewsberry, chief financial officer of Wells Fargo, one of the most active lenders in US energy, told an industry conference in Miami that borrowing availability would be about “10 or 20 per cent down” again in the spring. Banks have also been warned by the Office of the Comptroller of the Currency, the federal regulator, to watch out for the risk involved in lending to oil and gas companies, prompting fears that loans could be withdrawn from businesses that would be financially viable if they were given a little more time. In times of steep declines in commodity prices, most E&P companies will find the availability for additional borrowings under an RBL facility reduced, in some instances to a level below the aggregate principal amount of loans outstanding, resulting in a borrowing base deficiency. Once a borrowing base deficiency has occurred, most RBL facilities will provide the borrower the option to add additional collateral with a value equal to at least the deficiency amount or to pay down the outstanding loans in an aggregate amount equal to the deficiency in a single payment or in equal installments of three to six monthly payments. In a typical RBL financing, substantially all of the collateral has already been pledged to the lenders as collateral, which leaves the borrower only the option of paying down the debt. Choosing to repay the deficiency amount in installments gives the borrower a short window of time to raise capital, including by selling properties or securing additional credit through junior lien or subordinated debt, in order to avoid an event of default under its RBL facility. The cliché about the hydrocarbon business is that the cure for low prices is low prices, meaning that excess production should lead to a mass wave of insolvencies, cutbacks in activity and eventual price recovery for the rational, hardy survivors. But to date, that does not seem to be happening. Relatively strong debt and equity markets (aided by private equity and hedge funds) have allowed many energy companies to access the financing needed to fight another day. At the corporate level, there are 2nd lien debt (bond or loans) “replacement” revolvers, DIP financings and equity investments. According to Bloomberg, oil companies have sold US$61.5 billion in stocks and bonds since January 2015 as oil prices have tumbled. Approximately half the money has been used to pay down or re-structure debt. According to Bloomberg, drillers in the Permian Basin, the biggest US shale field, have raised at least US$2 billion from share sales over the past eight weeks. And more issuances are on the way as producers try to avoid piling on additional debt. Pioneer Natural Resources Co.’s 12 million-share issuance on Jan. 5 was followed a week later by Diamondback Energy Inc.’s announcement of a four million-share sale. Private equity firm Kayne Anderson Capital Advisors LP is investing in a startup called Invictus Energy LLC with $150 million to drill the Permian and the Eagle Ford Shale. At the asset level, there are many creative ways to invest in E&P companies, including, production payments, net profit interest, overriding royalty interest and out right purchase of a stake in the working interest. Whether acquired as part of a recent restructuring initiative or historical purchase, investors who own such carved out royalty interests need to take inventory of counterparty risk and how these positions will be treated in a bankruptcy, including the potential risks of contract recharacterization or rejection and clawbacks of payment already received. For instance, when these types of interests are structured correctly, the party advancing the money is treated as a purchaser of the future production. If the borrower fails, the oil and gas subject to the production payment belongs solely to the investor and cannot be borrowed against or sold by the debtor. Other creditors of the borrower have enormous incentive to attack the transaction and have it characterized as a financing rather than a sale of assets. If an attack is successful, an investor may find themselves a creditor potentially holding a large unsecured claim against a debtor as opposed to holding what they thought was a separate property. That claim will be subject to treatment in a plan of reorganization. E&P companies facing excess leverage or insufficient cash flow may pursue restructuring strategies out-of-court and, if necessary, reorganization in court by filing for bankruptcy, most often under Chapter 11 of the United States Bankruptcy Code (Bankruptcy Code). The typical parties in an energy restructuring or reorganization include the company as debtor, management, secured lenders, bondholders, potential asset purchasers, trade vendors, service vendors, oil and gas lessors, contract counterparties under joint operating agreements, derivatives counterparties, co-working interest owners, farmors, farmees, production payment counterparties, first purchasers and equity holders. Additionally, the Bankruptcy Code provides standing under appropriate circumstances for statutory committees of creditors and equity holders, and potentially for appointment of a bankruptcy trustee or examiner. E&P cases also present some unique legal issues compared to most Chapter 11 cases, including (i) whether the personal property or real property rules apply (which provide for different rights and time periods), (ii) how special state law rights and priorities such as liens and royalties are treated vis-à-vis secured and other creditors, (iii) whether certain production payments are true sales or disguised financings (as highlighted above) and (iv) whether environmental and clean up obligations can be discharged in the bankruptcy and how such claims are classified and treated. Indeed, bankruptcy by itself does not solve problems such as ongoing revenue and pricing issues or the need for going forward capital and trade creditor support. For example, when Samson Resources filed for bankruptcy in September 2015, wiping out US$4.2 billion of equity, the expectation was that second lien lenders, in the middle of the capital structure, would take over the company, wiping out the junior debt but paying senior debt holders 100 cents on the dollar. Now that assumption is being questioned and the pre-filing agreement with creditors has fallen apart. With the drop in energy prices “elements of the restructuring agreement, including refinancing senior debt and a commitment to inject new money, are likely no longer feasible”, according to a court document filed on December 17, 2015, in Delaware. “Any new restructuring would likely provide significantly less value for stakeholders than the transaction (originally) contemplated.” Second lien lenders who expected to take over Samson had pledged to put US$400 million into the company. But with prices of natural gas less than US$1.75 per million British thermal units —when the investment thesis of the original owners required prices of US$4 per mmbtu —“it was rational to take another look”, said one person involved in the talks. In its attempt to survive, Samson has cut costs and suspended all drilling. Although the immediate cause of the collapse is over-production of tight oil, the key to recovery is a material increase in demand. Worldwide demand for oil has increased—its just that the rate of increase in demand has dramatically slowed down. The problem is structural and firmly rooted in the speculative money that was funding under-performing US unconventional oil companies since 2010. A possible first step to price recovery is the severing of capital supply to E&P companies that could not fund their operations from cash flow when oil prices were more than US$80 per barrel. If this does not happen, the world could be in for a long period of low oil prices. Until then, distressed investors should remain mindful of the inherent benefits and risk of investing in the E&P space as they evaluate opportunities resulting from this downtown.